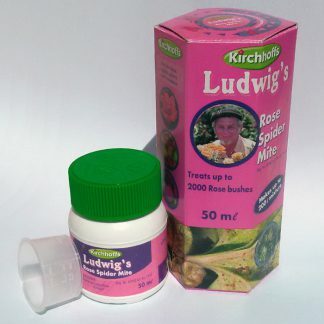 Margaret Roberts Organic Insecticide for the control of small bodied insects. 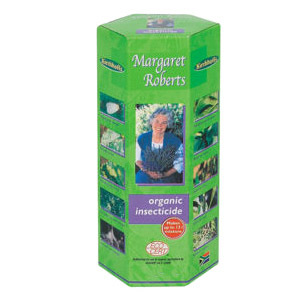 Margaret Roberts Organic Insecticide contains: garlic juice extract and canola oil. Insects: Aphids, red spider mite, white fly (should also control insects like mealy bug, scale and Australian bug). Dosage: 150 to 200 ml per 10 litre water. Use highest rate for scale. Dosage can be increased to 300 ml per 10 litre water as a dormancy spray after pruning in winter for best results. 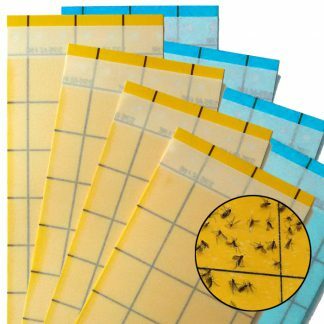 Environmental hazard: Canola kills targeted small bodied insects on contact by means of suffocation. Garlic keeps insects away from plants. Low impact on bigger bodied beneficial insects and natural predators. Harmless to fish, birds, wild life, pets and humans. Never allow oil formulations to form a layer over water surfaces, huge quantities of any oil will cut off oxygen supply to aquatic organisms which can result in harm to aquatic life like frogs etc. 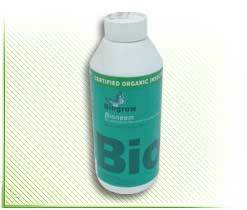 No harmful toxic residues for prolonged periods. No secondary poisoning. Formulations can be phytotoxic to sensitive plant varieties at highest dosage rates. Short persistency in the environment. Harvesting of edible crops within 24 hours.